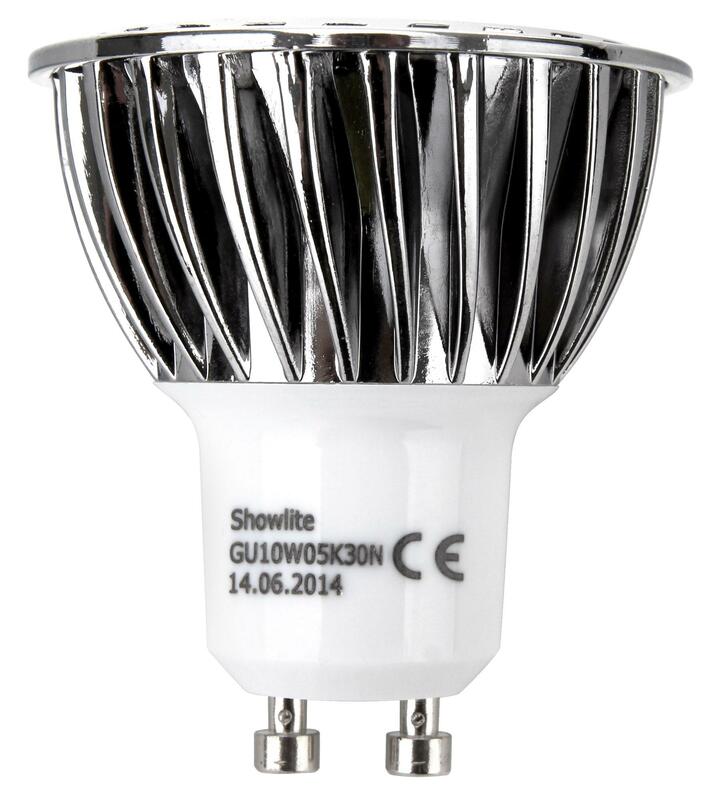 The Showlite LED bulb GU10W05K30N has an GU10 socket. 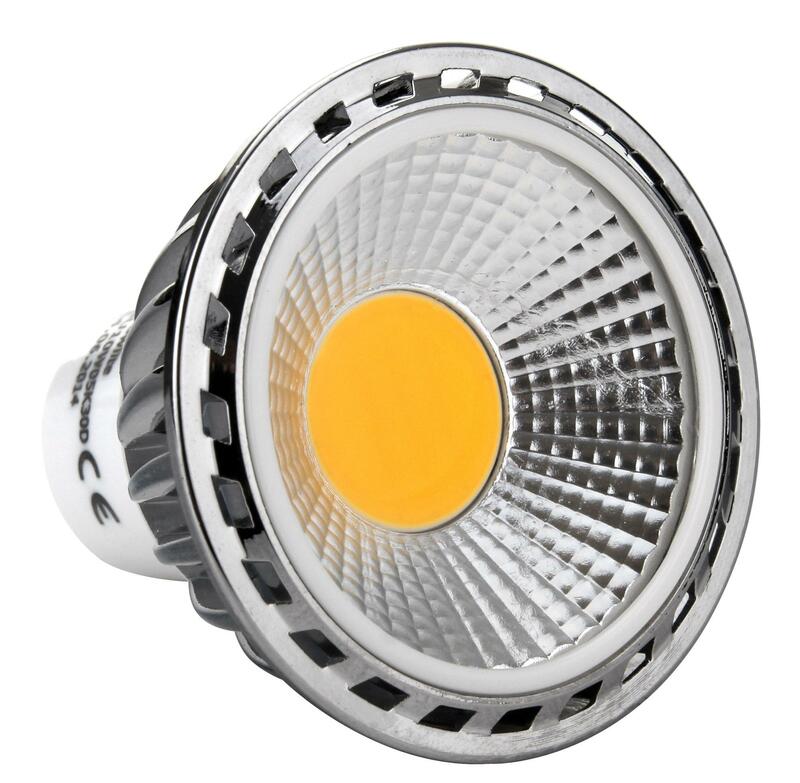 The 3000 Kelvin color temperature results in pleasant, comfortable, warm white light. 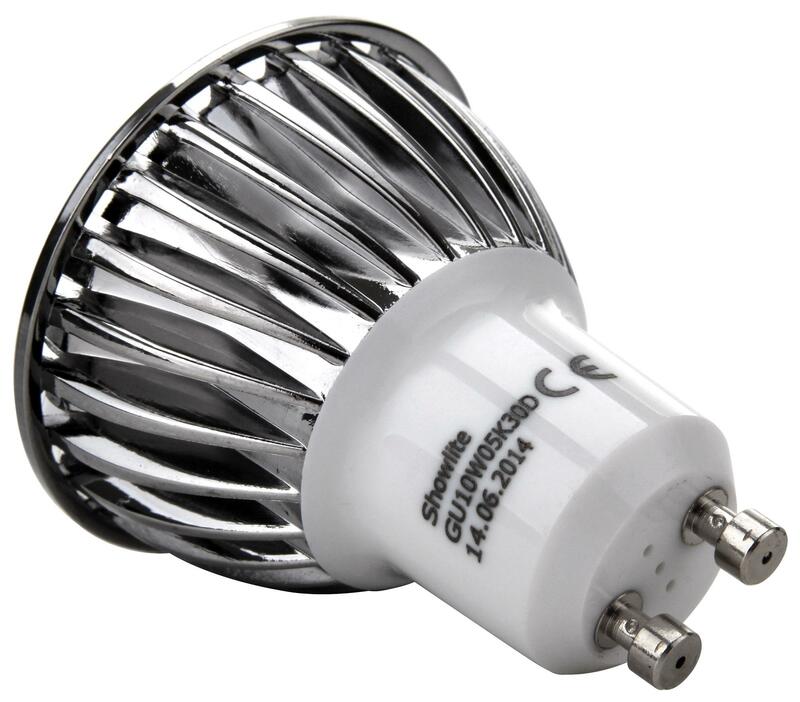 The LED bulb has a beam angle of 90 degrees and is particularly suitable for the living area. 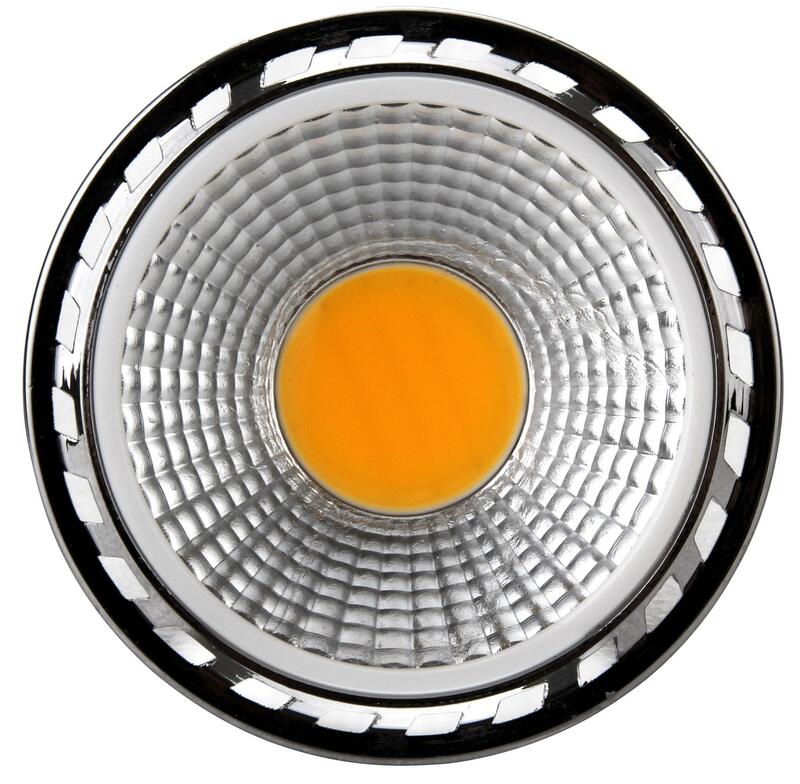 An elaborate LED chip and diffuser design provide uniform light without distracting "hot spots" and shadows. You get the same pleasant light of a conventional bulb and more. The lifespan of the bulb is about 30,000 hours. 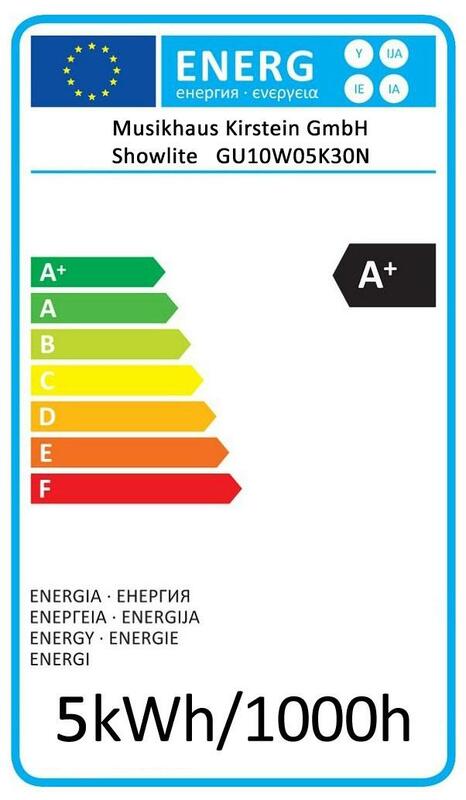 It belongs to the energy efficiency class A+. 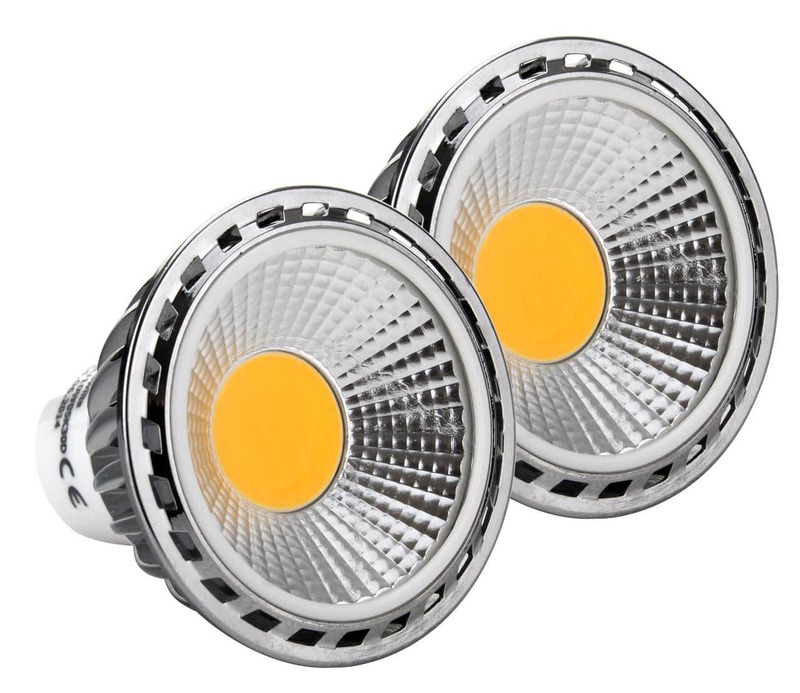 This 5-watt bulb has enough output with its 330 lumens to replace a standard 25-watt bulb, giving you power savings of over 80 percent. Plus, your LED will last many times longer than a conventional bulb.